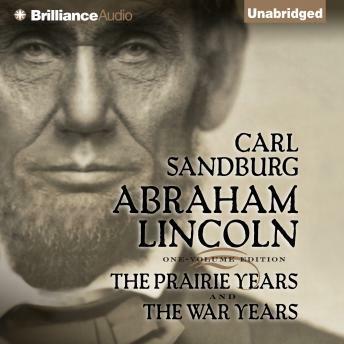 Originally published in six volumes, which sold more than one million copies, Carl Sandburg's Abraham Lincoln was praised as the most noteworthy historical biography of Sandburg's generation. He later distilled this monumental work into one volume that critics and readers alike consider his greatest work of nonfiction, as well as the most distinguished, authoritative biography of Lincoln ever published. Growing up in an Illinois prairie town, Sandburg listened to stories of old-timers who had known Lincoln. By the time this single-volume edition was competed, he had spent a lifetime studying, researching, and writing about our sixteenth president. His extraordinary portrait brings fully to life the country lawyer who would become one of the most influential and beloved presidents of the American republic. Additional information about the author can be found at: http://www.nps.gov/carl.